This month has been extremely busy, and I've been preoccupied with networking, meetings and conferences. 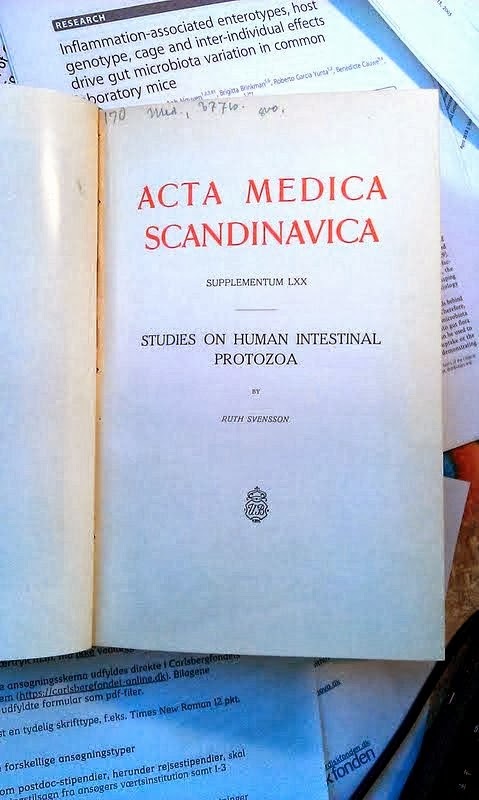 I want to thank the arrangers of the Scandinavian-Baltic Society for Parasitology (SBSP) meeting (which was this year merged with The 8th European Congress of Tropical Medicine & Tropical Medicine) for arranging a conference session on 'Intestinal Protists - Diagnostic Tools and Emerging Trends', which I was very honoured to chair. One of the four talks was unfortunately cancelled, but the rest of the talks were centred on Blastocystis, and due to great speakers and a very engaged and experienced audience, it turned out to be an extremely interesting and awarding session, sporting topics such as in-vitro susceptibility testing, subtype distribution in different cohorts, diagnostics, and 'Blastomics' advances. The conference took place in the Tivoli Congress Center in Copenhagen. Excellent facilities, but apparently catering other than tap water, tea + coffee could not be accommodated in the congress budget; but then again, it was a big meeting with more than 1,000 people registered (unconfirmed). Anyway, I look forward to more meetings and symposia focusing on Blastocystis! For more on this, stay tuned! Abstract Submission Deadline for the European Congress on Tropical Medicine and International Health Extended! Just a notification about the extended abstract submission deadline for the 8th European Congress on Tropical Medicine and International Health which is now 20th of May, 2013. Her Royal Highness Crown Princess Mary of Denmark is Patron of the conference, which will take place 10-13 September, 2013, in Copenhagen. The 5th Conference of the Scandinavian-Baltic Society for Parasitology will be held in conjunction with the TM&IH meeting. To submit an abstract, please go here. So, please hurry up and submit!